CK and Nate header: Tasty Tuesday: Hello Fall! This is by far my favorite food season. Labor Day weekend we took a trip up to Maine for amazing fall activities (IMO there is nothing better than New England in the Fall) and that really kicked off my desire for the awesome deep flavors of Fall. So, get ready for root veggies, savory soups, rich sauces and amazing meats to take over the blog for the next few weeks! Our grocery store has amazing pre-cooked whole chickens so we started our week off with one of those and these awesome grits and mushrooms. This was a really quick and simple meal but be careful with the grits. We use quick grits so they only needed to be cooked 5-7 minutes instead of 20. Also, our store sells a mix of mushrooms in a single pack so check that out if you don't want to buy a lot of different single packages. 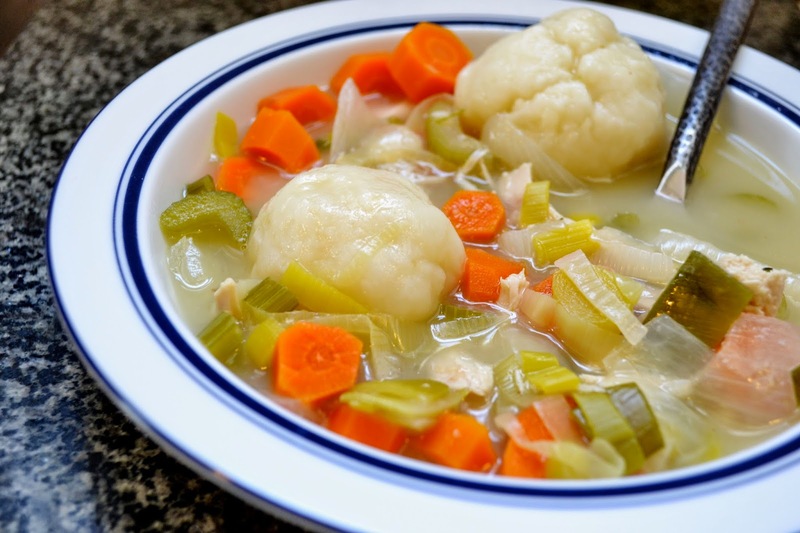 We used the left over chicken carcass and this chicken noodle soup recipe to make a chicken soup with dumplings. I didn't include noodles in the soup but I did add in some leeks. We used gluten free Bisquick to make the dumplings. Last time I tried this with the gluten free mix, I used the recommended 2 cups mix to 2/3 cups milk and the dumplings fell apart. This time I upped the milk to a whole cup and they definitely stayed together but were a little on the dense side. So, I would try something in the middle next time. I was really on a soup kick so I also made this Broccoli and Cheddar Soup by Peas and Crayons. I used gluten free flour and 1 cup cheddar + 1/2 cup parmesan. We put the soup in bread bowls and while it was a little on the thicker side, it tasted soo good! Finally, we bought back 40 (yes 4-0) pounds of apples from Maine and so naturally we've been cooking apples up a storm! 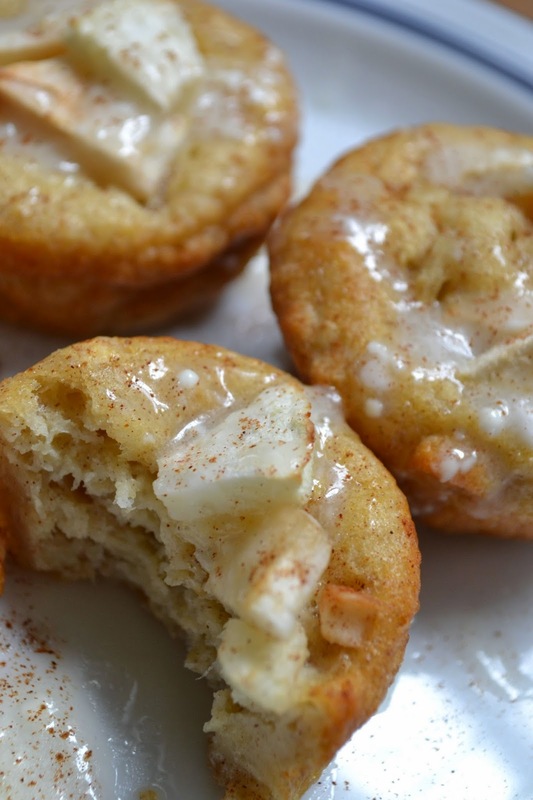 One recipe we tried is these apple pie popovers by Dougmesstic. We used gluten free flour again and ours didn't really pop over. I'm not really sure if it's because of the GF flour so it's definitely a make again since they were good, just denser than I think they were supposed to be.